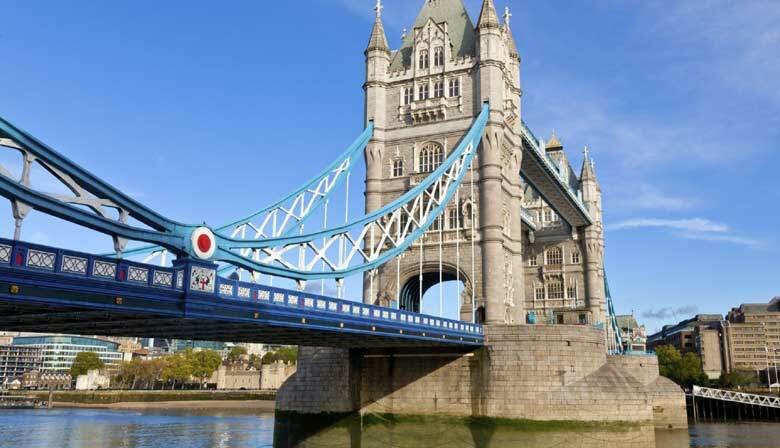 Discover London on a unique one-day tour leaving from Paris. During your excursion, you can visit London aboard an open top bus, on a Thames river cruise, and on a Beatles walking tour. Please go directly to the Gare du Nord at 7:30 a.m. sharp and bring your voucher. Meet our assistant on the mezzanine on top of the escalator leading to the Eurostar. You will be given your round-trip train tickets and passes for the city tour and cruise. You will need to register and go through security checks, presenting your piece of identification or passport (VISA if required) before proceeding to the Eurostar platform. Departure is scheduled for 8:13 a.m. and the estimated time of arrival is 9:39 a.m. (local time). When you arrive at the Saint Pancras Station in London, you will be greeted by our Golden Tours representative at the exit of the “Eurostar arrivals” area. He or she will show you the closest stop where you can begin your bus city tour, which includes multiple stops. Throughout your London city tour, you can hop on and off when and where you please and visit the British capital at your own pace, exploring its famous monuments and neighborhoods. Be sure to see the famous Big Ben, stroll through Trafalgar Square or Piccadilly Circus, admire the Tower Bridge and witness the changing of the Guard at Buckingham Palace. You can also visit London's many museums and historical buildings, such as the iconic Tower of London which houses the Crown Jewels, the majestic Westminster Abbey, the National Gallery or the Tate Modern, which contain an impressive collection of works of art, and the British Museum. The London tour offers around 60 stops, which include 3 itineraries. Along the way you can enjoy a pleasant cruise along the Thames by getting off at the Westminster, Waterloo, Tower Bridge or Greenwich stops. This will give you the opportunity to experience the city of London from the water. All information about those tours will be given to you by the representative who will welcome you at the Saint Pancras Station when you will arrive in London. - The Royal Walking Tour: You will discover the high places of London linked with the Royal Family, such as St James's Palace and Buckingham Palace, where you will see the guard mounting. Your guide will tell you funny anecdotes about the Royal Family and describe you their daily life. Departure at 10:00 a.m. and return at 12:00 a.m.
- The Beatles London Walking Tour: You will discover hotspots in London linked with the life and history of the famous Beatles. Departure at 1:00 p.m. and return at 3:00 p.m.
You can also get a free 3D app available on the Google Play Store or the App Store. This “Hop on Hop off Treasure Hunt” app is available in English, French, German and Spanish. It will help you to know where you are in London, to visit the best places, to buy directly entry tickets. Identity Card or Passport mandatory. A VISA card is required for certain nationalities. Please check on the website at https://www.gov.uk/check-uk-visa. We assume no responsibility if access to the British territory is refused. The train times are a guideline only. Please do not hesitate to contact us the evening before to confirm departure time. However, you must be at the Gard du Nord at 7:30 a.m.
Open top bus tour of the city of London with multiple stops, through Golden Tours (Grayline London), with audio-guide commentary available in 11 languages. You will receive your confirmation and your voucher in 2 separate emails. Please print your voucher and redeem it to the hostess at Gare du Nord: On the mezzanine on top of the escalator leading to the Eurostar. Excellent services,guides were so helpful,great suggestions what to see in a day's tour.There so many things to see and experience,made us want to plan to visit London for more fabulous experience. Would’ve helped if clearer map/instructions and bus times were provided. Overall, worth the money. Love the Day trip! Totally worth it! Great day trip from Paris. The representative met us at Gare du Nord and gave us the tickets and then there was a person waiting on us when we got to London and escorted us to the Hop on- Hop off bus...A boat ride and walking tour is also included... We bought tickets to attractions like Tower of London and The Shard, which in hind site was not enough time. Stick with the Hop on- Hop off tour and boat ride. There was a little problem with tickets for the bus but Paris City Vision resolved the issue. Overall, good way to visit London in a day. The train arrived in London around 9:45am local time. I believe I saw every major landmark there was to see on my day trip to London from Paris! The bus had a few different lines that you could take all over the city and hop on and off at your leisure. It was a full day, having to arrive at Gare du Nord at 7:15am and not returning until 11:30pm. But it was a day well spent! I enjoyed the trip and meeting the representative both in Paris and London was simple. Personally, I felt the tour map (once in London) was a bit confusing. If you plan on walking around and picking up on a different stop, you may need a proper map. Start with the live tour and if you take off on your own path, be mentally prepared to take a cab back to the Train Station. If on a week day, you can get caught up in rush hour traffic so keep that in mind.